Boyd’s work brings attention to the element of time in holographic images. 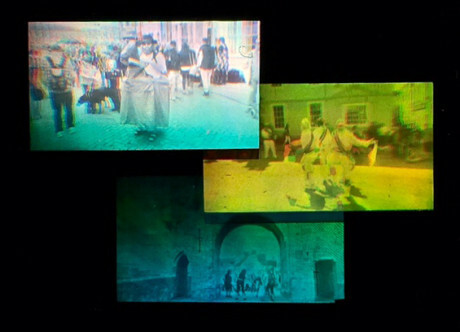 He creates holograms from sequences of photographic footage that capture action within the hologram. Boyd photographs every-day events with a ‘hand-held’ vernacular style placing the viewer as bystander within the scene. His work with pulse laser hologram recording takes a very different approach. Here the narrative is told through objects, often worn by the subject in meticulously constructed of fictitious scenes. Boyd has an MA from the Royal College of Art, London and was a fellow of the Academy of Media Arts, Cologne. 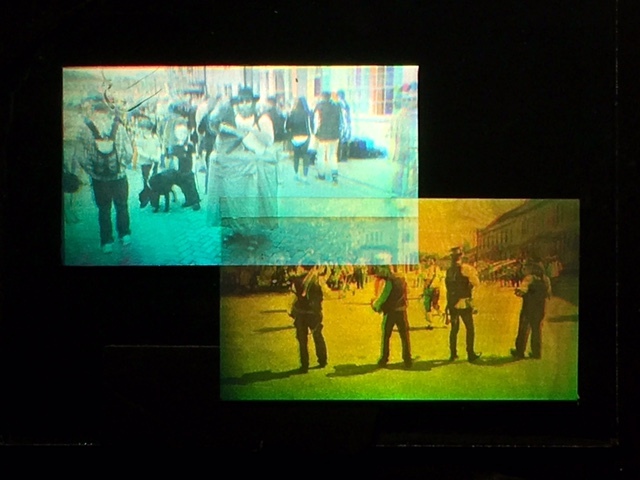 He was awarded a year-long artists residency at the Museum of Holography in New York and has created multiple projects through the HoloCenter pulse laser residency program. His solo exhibitions include Butler Museum of American Art, Youngstown, OH, USA; Royal College of Art – Link Gallery, London, UK and Art House, Takasaki and Neuse Gallery, Maiebashi, Gunma-ken. Japan. Combining motion, emotion and humour Boyd captures the strange English tradition of the Morris Dancers. These traditional dances with uncertain origins that can be traced as far as the 15th Century. Photographic and holographic elements are combine into the final artworks.